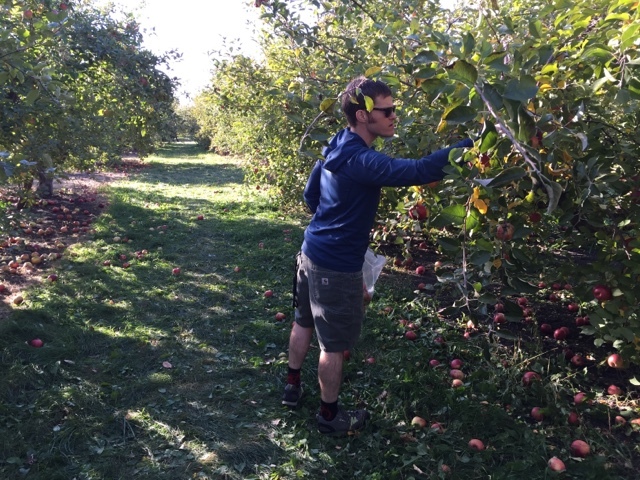 3000 miles north & back: Apple picking and dog walking. 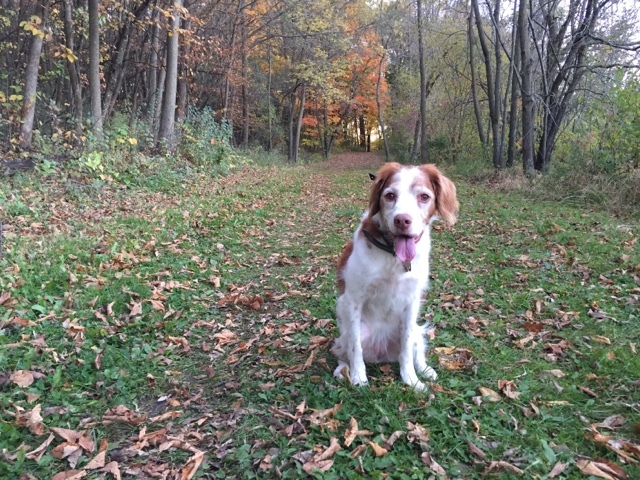 Apple picking and dog walking. 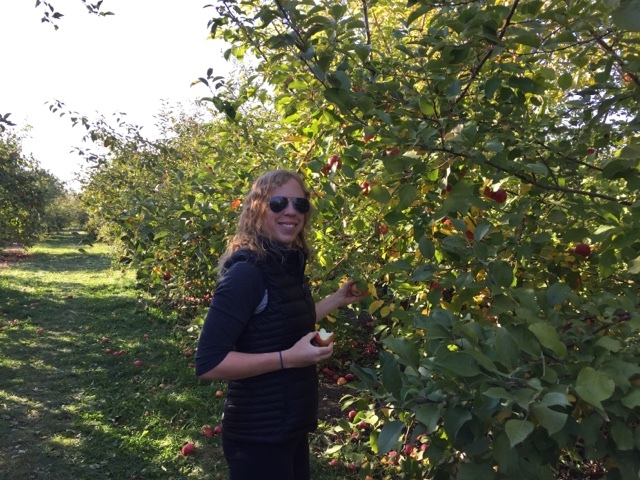 I quickly learned that when you live in Minnesota, you visit an apple orchard at least once during the fall apple season. Apple season begins around mid August and ends toward the end of October. 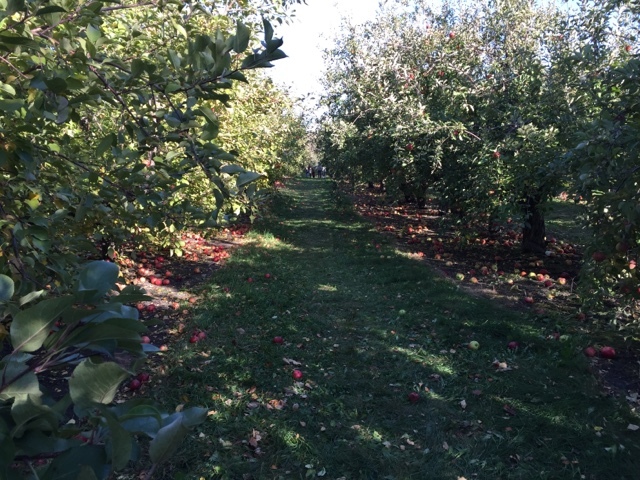 Apple varieties available for picking vary over the three month period of time - from crabapples in late August to Red Baron, McIntosh, Haralson, Honeycrisp and Honeygold in early September and Spartan, Empire and Connellred in late September to early October. Who knew there were so many kinds of apples? Matt and I decided to check out Minnesota Harvest, which is located in Jordan, Minnesota, a town just a few miles south of Chaska. 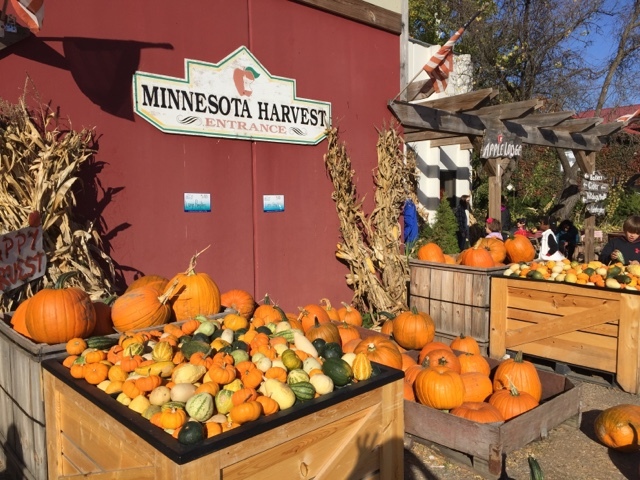 Minnesota Harvest not only has apples, but during their peek season in October, they also sell pumpkins (which they have in abundance). After purchasing an 11 pound "picking bag," Matt and I boarded a wagon that took us to the apple orchard. Each tree was marked with a ribbon that indicated its varietal. Matt and I decided to go for the yellow ribbon trees, which contained Connellred, and the blue ribbon trees, which contained regent. 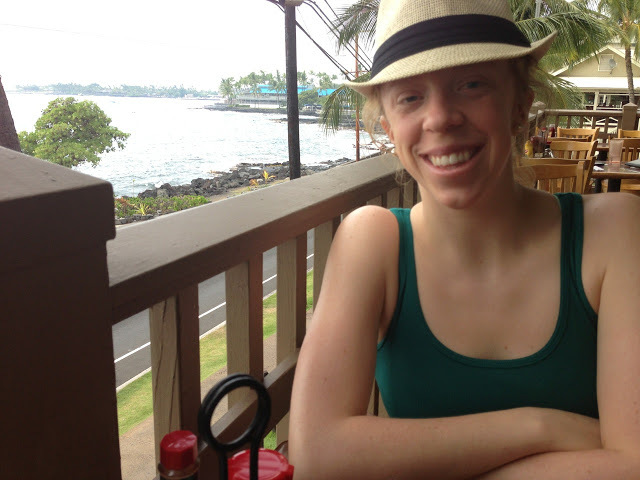 What does 20 pounds look like? 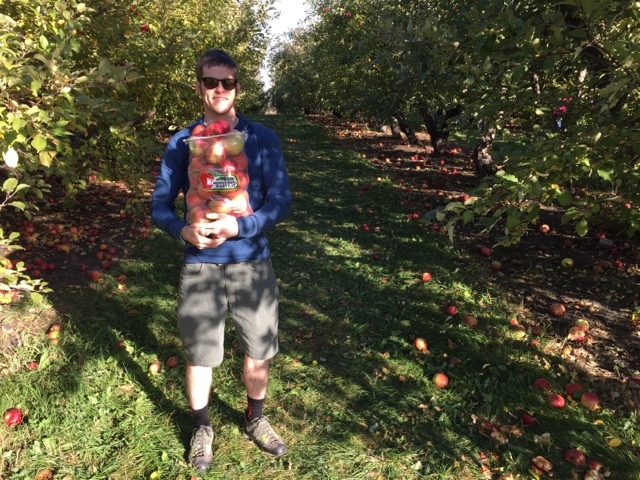 Matt had to hold the bag with two hands...and we made sure to pile a few extra apples on top (and in our pockets). 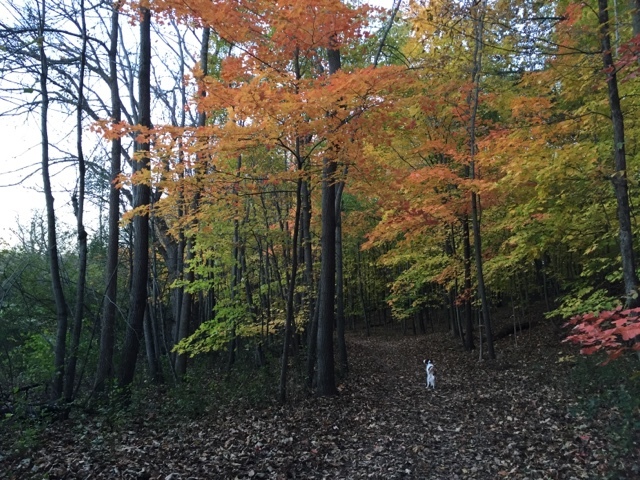 We had a dog waiting in the car while we were picking apples, so after we were done picking, we headed for Lake Minnewaska Regional Park for a hike walk. 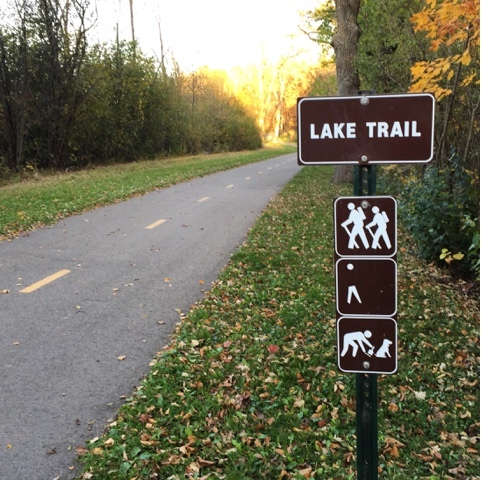 The trail started paved, but eventually turned into a dirt trail that ran adjacent to the lake. After about three miles of walking and a somewhat tired dog, we headed back to the car and drove home, snacking on an apple during the ride. October was a beautiful month this year in Minnesota, and it was great having a couple buddies along to share in a few adventures.